GOLD AWARD SPOTLIGHT: Kory helps the Jurupa Mountains Discover Center gain visitors! 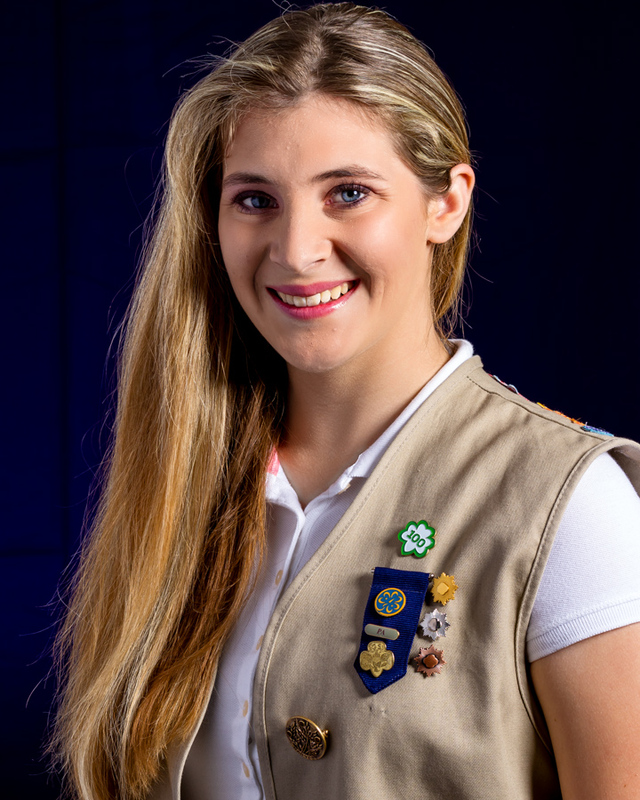 The Girl Scouts of San Gorgonio Council congratulates Kory on earning her Girl Scout Gold Award! The Jurupa Mountains Discovery Center, a non-profit organization in Jurupa Valley, needed their main entrance sign refurbished and made more visually appealing to draw visitors from the State route 60 freeway. “We’ve been here for a long time but we’re still a little bit of an unknown,” said Executive Director Mark Yeager. The Discovery Center has been around for nearly 50 years; the center features a unique garden, one that can be difficult to maintain, an 80-acre site featuring a biblical-themed garden with plants and trees mentioned in the Bible. The center also hosts an Earth science museum and offers summer nature camps that include science and cultural activities for children ages 7 to 12. To encourage more people to visit the center, Kory reconstructed the 18 foot by 7 foot welcome sign and made walking maps of the property for the guests. With support from the Discovery Center director, Kory incorporated the western theme in her project and made all the signs consistent. Since the reconstruction of the sign and maps for guests, the Discovery Center has added many new attractions and membership at the center is on the rise. Previous Previous post: Girl Scouts are now city officials! Next Next post: GOLD AWARD SPOTLIGHT: Cristina supports our veterans by honoring them with Gold!